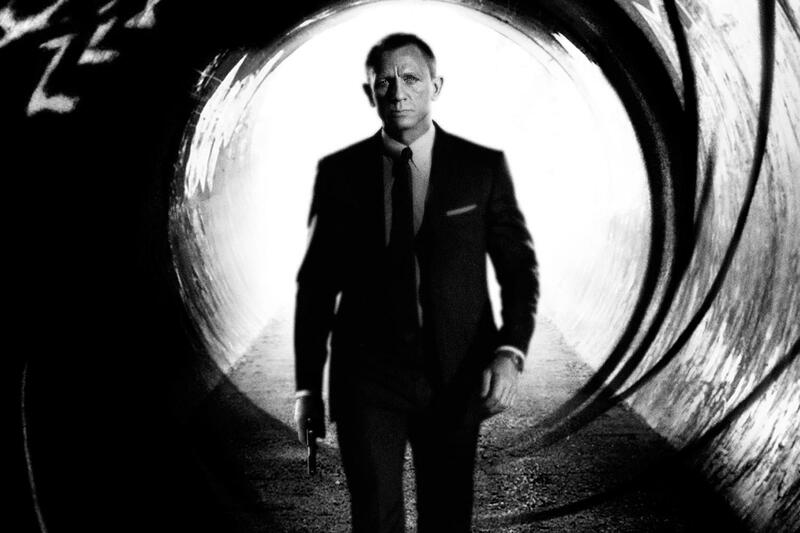 After a very long wait, complicated by the bankruptcy of MGM Studios, James Bond fans are finally getting a new movie in Skyfall, just in time to celebrate a half century of Bond films. They’re also getting a new video game from Activision and developer Eurocom, 007 Legends, which recreates several of the characters most famous adventures including Skyfall, which will be released as DLC following the launch of the game and premier of the movie. And then there’s the just-released Bond 50 Blu-ray Collection with all 22 films, a must have for all die hard Bond fans. That’s a great way to celebrate 50 years of 007. Bruce Feirstein, who penned GoldenEye, Tomorrow Never Dies, and The World Is Not Enough, is helping to bring Bond back virtually with an original story that links six classic Bond films (Goldfinger, On Her Majesty’s Secret Service, Moonraker, License to Kill, Die Another Day, and Skyfall) together with an updated setting, and starring actor Daniel Craig as 007. The Hollywood scribe, who also penned the Bond games Agent Under Fire, From Russia with Love, GoldenEye, and Blood Stone, talks about the role video games have played in keeping Bond relevant with a new generation of fans in this exclusive interview. What do you feel having Daniel Craig as the James Bond in 007 Legends adds to the synergy with Skyfall hitting theaters? When you look back over the history of Bond, every Bond was the right Bond for his time. Connery was clearly the perfect Cold War Bond. Pierce was clearly the perfect Bond for the post Cold War time and now Daniel perfectly reflects the post 9/11 world with the character that he created, his interpretation of Bond. In terms of doing the game, rather than go backwards into the missions, we update the stories slightly and modernized them to reflect the current Bond. That’s why Daniel is the current Bond who goes through all the levels of the game. 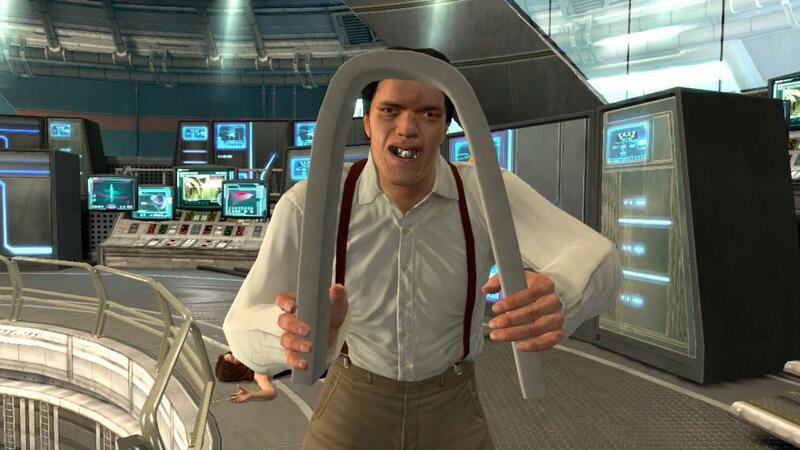 How does Craig’s Bond – which is much different than the Bonds in the original movies that are featured in the game — impact the experience people will be going through with the missions in 007 Legends? Daniel Craig’s Bond is much more serious. He harkens back to the very lethal weapon aspect of Connery, so the missions have been tailored to reflect that character in that they’re more action based. It’s similar to what we did with the GoldenEye game last year in that we changed the character and streamlined the storyline to reflect the Daniel Craig Bond. Can you give some examples of how you’ve updated some of the classic films in this game? Goldfinger is now set against the worldwide financial meltdown, which is why Goldfinger is going after the gold. He’s so involved in the gold. With Moonraker, these are the last space shuttles and we talk about the way the world has changed. Believe it or not, On Her Majesty’s Secret Service needed less updating because it’s a very personal story. The villains and action have modernized, so instead of the Italian Mafia it reflects the current world. When the player begins these missions you’re in today’s world and the Bond character is facing all of these villains in a parallel, but equal world to the Daniel Craig era. What we’re updating is the environments of where the game exists in today’s world. How does writing Bond games compare to writing Bond movies? Writing games is not unlike writing movies. Essentially, you open up a Final Draft file and you write through a 90-page script from start to finish. Then there are all the other hundreds of pages of dialogue and variations and things like that. Games are nice because you don’t need that third act where you find that Auric Goldfinger had an unhappy childhood or how this particular boss on some level became who he is. The game is much more streamlined storytelling, which plays perfectly into Daniel Craig because he’s a much more streamlined Bond. What role have you seen the 007 video games play with the James Bond franchise over the years? Bond is such a huge international character that there’s always a hunger for Bond. We always hear all of this nervousness about it being three or four years since the last Bond movie came out, but I believe Skyfall will do huge box office because there is a pent-up demand for it. James Bond is like Coca Cola. It’s everywhere. Everyone is aware of it. Any day of the week you can open up a newspaper and find something described as Bond-like. What the games do in a small way is they keep Bond in the forefront and they give Bond fans and video game players a refresh as the franchise goes along. The games run parallel to the movies. Clearly, the movies are the franchise and the games, while a huge business in and of themselves with millions of players, are supplemental. What was it like working with the Skyfall filmmakers and bringing what they’re doing in the new movie to the DLC game? We worked from the Skyfall script. I worked with Michael Wilson and Barbara Broccoli, and David Wilson (Michael’s son), who oversees the game. Barbara and Michael read the scripts and have input. It’s all knitted together. You also get feedback from the people at Eurocom who are making the game itself. Having written three James Bond movies, it’s like working with family. Cubby Broccoli used to talk about Bond being a big family and it is a family in that sense. I first met David Wilson when we all worked on GoldenEye the movie together. There’s not a lot of explaining that needs to go on. On the game side of it, David understands the parameters and what’s right and what’s wrong. It’s all inside the company. Did you have the opportunity with the Skyfall game to go beyond what people are going to see on the big screen? No, you don’t. The challenge here for me as the writer was to knit together all of these levels into a cohesive story with an overall arc, which culminates in Skyfall. By the time you get to Skyfall, it explains why you’ve played through all these other missions on the way there. In general, have recent Bond movies been influenced by games? In general, I believe that when you look at big action movies, they’ve unquestionably been influenced by games. If you look at the visual cues and the storytelling in something like Call of Duty and you’re aware of the game world you can see how there’s been synergy between action movies and action games. There’s no question in my mind that games have had an impact on movies, even if people in the movie business don’t realize it.